In J. CAIN, we don’t only offer a world class logistic service, we also work to positively impact our society and the environment. From the beginning, we have assumed a commitment to the community by promoting integral growth through the generation of social, economic and environmental value. Therefore, our social responsibility strategy focuses on the well-being and development of our employees, in Education, thus awakening in the youth a vision for their future development, in the improvement of some of our communities where we operate; in addition to the preservation of the environment. In this sense, as part of the development of the collaborators and as a policy, it has been implemented that the vacancies that arise in the organization, can be promoted and initially occupied by our same resource both in ascending line and laterally, as well as the establishment of training programs like "Highly Efficient Leaders" that allows our staff to have leadership and administrative tools for the best performance, professional growth and relationship with their work teams. As a social projection, in the field of Education, we have plans to visit schools where we promote issues related to logistics, awakening the interest and vision of future graduates to have a greater perspective of the many options that exist in the field of logistics, while considering structural repairs of schools, creating a better environment for the education of young people, as well as strategic alliances with local universities. One of the aspects that we are most passionate about is that our collaborators maintain a commitment to service to the community by investing a significant number of their time in volunteering actions participating in the activities organized by the company during the year. 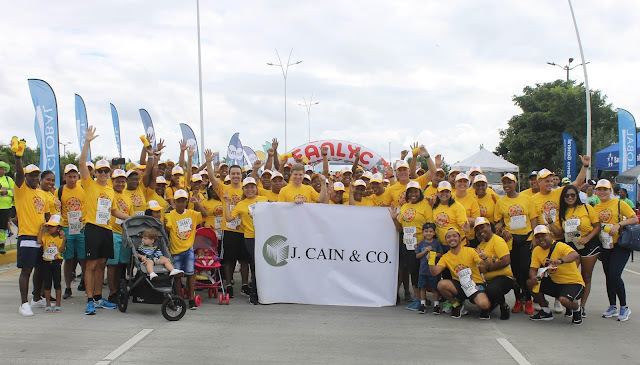 In this and other ways J. Cain assumes, together with its collaborators, the commitment with a series of behaviors that, voluntarily and actively, contribute to the environmental, economic and social improvement of the communities where we operate.